Italian Talmudist; born at Venice in 1704. 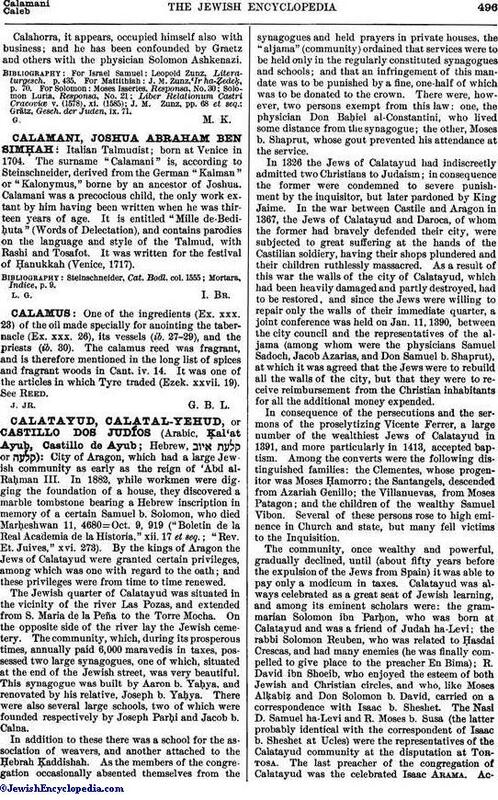 The surname "Calamani" is, according to Steinschneider, derived from the German "Kalman" or "Kalonymus," borne by an ancestor of Joshua. Calamani was a precocious child, the only work extant by him having been written when he was thirteen years of age. It is entitled "Mille de-Bediḥuta" (Words of Delectation), and contains parodies on the language and style of the Talmud, with Rashi and Tosafot. It was written for the festival of Ḥanukkah (Venice, 1717).